Ancient Future bandleader and scalloped fretboard guitar pioneer will be joined by master musicians from many traditions for this series of hour long free concerts at libraries in Sonoma County. Each show will feature different material from recordings by Matthew Montfort, Ancient Future, and the master musicians he is performing with. 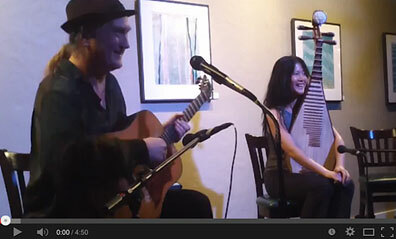 Saturday, April 27, 2 PM, Ancient Future Guitar and Pipa Duet with Matthew Montfort and Shenshen Zhang (pipa), Sonoma Valley Regional Library, 755 West Napa Street, Sonoma, CA 95476. Free. Info: 707-996-5217 or visit sonomalibrary.org. Facebook Event. 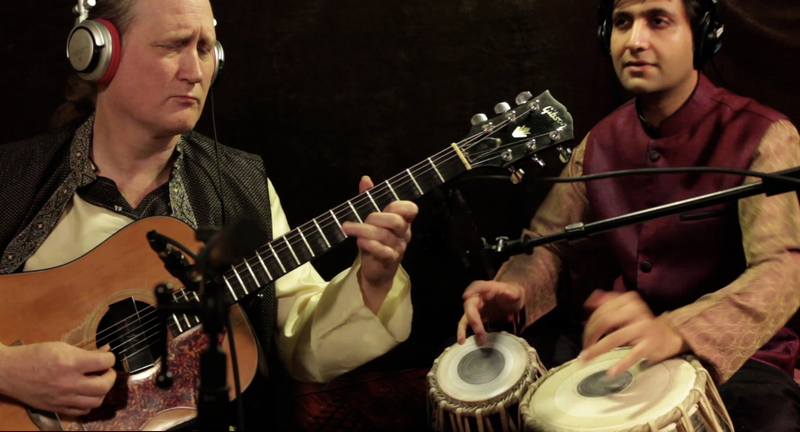 Saturday, May 4, 2 PM, Ancient Future Guitar and Tabla Duet with Matthew Montfort and Vishal Nagar (tabla), Rohnert Park-Cotati Library, 6250 Lynne Conde Way, Rohnert Park Expressway / State Farm Drive, Rohnert Park, CA 94928. Free. Info: 707-584-9121 or visit sonomalibrary.org. Facebook Event. Saturday, May 11, 2 PM, Ancient Future World Without Walls Trio with Matthew Montfort, Doug McKeehan (keys), and Ian Dogole (percussion), Healdsburg Regional Library, 139 Piper Street, Healdsburg, CA 95448. Free. Info: 707-433-3772 or visit sonomalibrary.org. Facebook Event. Scalloped fretboard guitar pioneer Matthew Montfort and friends will perform the following free concert programs at Sonoma County libraries: April 27 at 2 PM, Guitar and Pipa Duet with Shenshen Zhang at the Sonoma Valley Regional Library; May 4 at 2 PM, Guitar and Tabla Duet with Vishal Nagar at the Rohnert Park-Cotati Library; and May 11 at 2 PM, Ancient Future World Without Walls Trio at the Healdsburg Regional Library. Scalloped fretboard guitar pioneer Matthew Montfort and Chinese pipa master Shenshen Zhang will perform April 27 at 2 PM at the Sonoma Valley Regional Library, located at 755 West Napa Street in the town of Sonoma. This hour long concert is free to the public. For more information call 707-996-5217. Scalloped fretboard guitar pioneer Matthew Montfort and Indian tabla master Vishal Nagar will perform May 4 at 2 PM at the Rohnert Park-Cotati Library, located at 6250 Lynne Conde Way in Rohnert Park. This hour long concert is free to the public. For more information call 707-584-9121. 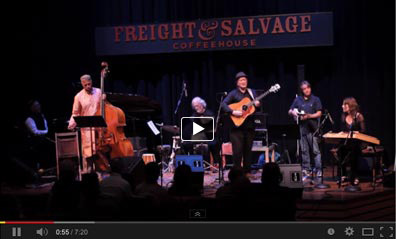 Scalloped fretboard guitarist Matthew Montfort, keyboardist Doug McKeehan, and global percussionist Ian Dogole will perform a program celebrating the band Ancient Future’s classic ‘World Without Walls’ release on May 11 at 2 PM at the Healdsburg Regional Library, located at 139 Piper Street. This hour long concert is free to the public. For more information call 707-433-3772. Video of the very first notes that Matthew Montfort and Shenshen Zhang played together the night they met on stage! 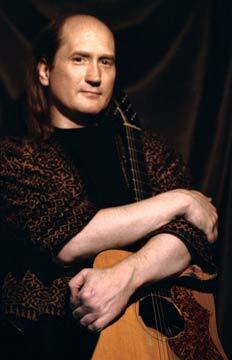 The leader of the world music group Ancient Future, Matthew Montfort, released his first solo recording, Seven Serenades for Scalloped Fretboard Guitar, in 2009. He is a pioneer among guitarists who have had their fretboards scalloped in order to play various forms of world music that require intricate note-bending ornaments while still being able to play chords. Montfort immersed himself in an intensive study with vina master K.S. Subramanian in order to fully apply the South Indian gamaka (note-bending) techniques to the guitar. 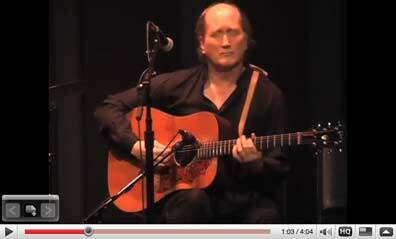 He is recognized as one of the world's 100 Greatest Acoustic Guitarists by DigitalDreamDoor.com, a curated "best of" site, along with such luminaries as Michael Hedges, Leo Kottke, Chet Atkins, John Fahey, Merle Travis, John Renbourn, Tommy Emmanuel, Doc Watson, Pierre Bensusan, Alex De Grassi, and Peppino D'Agostino. The December 2009 Les Paul issue of Guitar Player Magazine includes a full page feature on Matthew Montfort with a corresponding GuitarPlayer.Com video and lesson entitled “The Music of Jimi Hendrix Applied to Indian Raga.” He has performed concerts worldwide, from the Festival Internacional de la Guitarra on the golden coast of Spain to the Festival of India in Mumbai. He has performed live on national radio and TV shows such as the Echoes Living Room Concerts on Public Radio International, and the Rachel Maddow Show on MSNBC. He has worked with many world music legends, including tabla phenomenon Zakir Hussain and Chinese zither master Zhao Hui. Montfort wrote the book Ancient Traditions – Future Possibilities: Rhythmic Training Through the Traditions of Africa, Bali, and India, which has been used by many musicians to improve their rhythm skills. For over 30 years, Ian Dogole has articulated his vision of global fusion music as a multipercussionist, bandleader, educator, recording artist, composer and producer. He has released seven records and a DVD as a leader – Along the Route, Dangerous Ground, Ionospheres, Night Harvest, Convergence, Crossroads, Outside the Box – Jazz Journeys & Worlds Beyond and Ian Dogole & Hemispheres In Concert (DVD). Ian has recorded and performed with artists such as Hamza el Din, Tito La Rosa, Richie Cole, Paul McCandless and Alex de Grassi. He performs on a wide variety of percussion instruments, including udu, cajon, hang, African talking drum, kalimbas, cymbals and dumbek. Ian has received numerous grants, including a Jazz Performance Fellowship from the National Endowment for the Arts, two recent grants from the San Francisco Friends of Chamber Music (SFFCM) to present musical tribute concerts in honor of jazz legends Woody Shaw and Wayne Shorter, and multiple grants from the Marin Arts Council. Ian is very active as a music educator – having presented assemblies to more than 60,000 elementary school students in his four seasons with the San Francisco Symphony’s Adventures in Music program and he has just completed his third season presenting a global world music appreciation series to students at Redwood High School in Larkspur, CA. Ian has also offered his music education programs through numerous nonprofit organizations, including Bread & Roses, Young Imaginations, Youth in Arts and Young Audiences of the Bay Area. 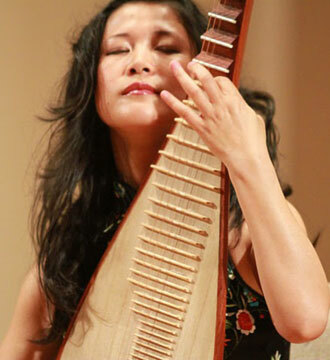 A native of Wenzhou, China, Shenshen Zhang began playing the pipa at the age of nine. At thirteen, she auditioned and was accepted into the prestigious Central Conservatory of Music in Beijing, where in 1992, she was awarded a Bachelor's Degree. In 2005, Ms. Zhang received Master's Degree in Musicology from Xiamen University. As an award-​​winning concert soloist, she performed and toured extensively throughout Asia and the U.S. Since making her home in SF Bay Area in 2006, Ms. Zhang has combined her lengthy performance career and her vast experience as an educator, preserving the musical heritage of China while also exploring other world cultures. Ms. Zhang taught music at Stanford University from 2015 to 2017, and she has her own pipa studio in Silicon Valley where she teaches classical Chinese music to a diverse student population. 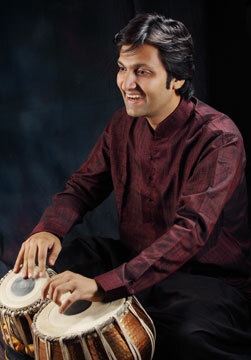 ﻿Vishal Nagar is considered one of the most gifted tabla players of his generation. Born into a family of musicians, Vishal has been surrounded by music in an extremely musically creative and artistic environment. Since childhood, he has been fascinated by tabla and began to play at an early age. Vishal had his initial training for a very brief period with the late Ustad Latif Ahmed Khan of the Delhi Gharana. After his Ustad's untimely demise, Vishal continued his training under the guidance of Ustad Shamim Ahmed Khan of the same Gharana (school). Along with the dense and rare tabla repertoire taleem which was he received from his Ustad, he also has had intense rhythmic (layakari) training from his mother, the renowned and highly respected Kathak dancer and vocalist, Urmila Nagar. 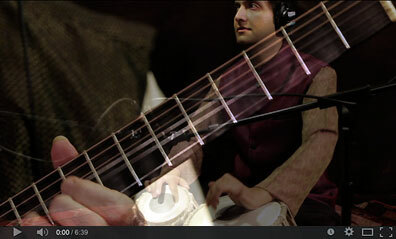 Vishal has been praised in the Indian press for his unique combination of melodic tabla sound production with masterful command of rhythm. Vishal has had the privilege of performing with such renowned artists as Ustad Shujaat Khan, Guru Urmila Nagar, Vidhwan Trichur Ramachandran, Pandit Ramesh Misra, and Kala Ramnath. Vishal has also had the honor of sharing the stage with some great world music masters such as African drum legend Babatunde Olatunji, Michel Shrieve, Evyind Kang, Carmona Flamenco, and Michael Wimberley. 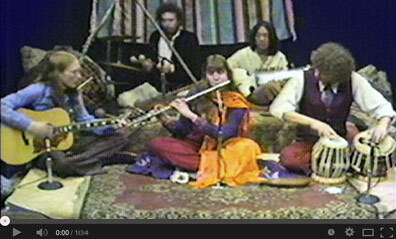 Vishal has also expanded his cultural boundaries and collaborated with musicians from around the world. Some of his memorable works have been with the Ghanaian Guitarist Koo Nimo with whom he also appeared in WOMAD USA (a leading world dance and music festival started by Peter Gabriel). Starting his performance career at the age of eight in Patna, Vishal has performed around the globe including performances in many cities in India, Sweden, Germany, Denmark, Thailand and the United States. Vishal has also been awarded with the Ministry of Culture Scholarship from the Department of Culture. The Archive of Future Ancient Recordings by Ancient Future. (Ancient-Future.Com AF-2030). Recording Newsletter Package (128 kbps MP3): $15. Download Supporter Package (320 kbps MP3): $25. Limited to 300 packages. Limited Edition CD Sponsor Package (CD quality .wav): $50. Limited to 200 packages. Honorary A & R Representative Package (Hi-res 24 bit .wav): $75. Limited to 100 packages. During Ancient Future's 30th anniversary year, work started on the next project of the band: the Archive of Future Ancient Recordings (A.F.A.R.). To finance the project, a subscription system model is being employed to fund the recording through fans of world fusion music. There are already tracks totalling 86 minutes and 51 seconds in the archive available right now exclusively to subscribers, with more coming as money is raised for production. Video of Ancient Future Circa 1978. This concert celebrated Ancient Future History with music from the early period of the band Ancient Future's musical development. Performing with Ancient Future bandleader Matthew Montfort was original member Mindia Devi Klein on bansuri and silver flutes, and Mariah Parker, who filled in for original Ancient Future member Phil Fong at their 40th anniversary reunion concert, on santur and keys. Local Petaluma tabla player Mark Gerhard sat in on one piece. The concert was well attended and the band received a standing ovation resulting in an encore. Wednesday, February 20, 7 PM, Ancient Future History with Matthew Montfort, Mindia Devi Klein (bansuri and silver flute), and Mariah Parker (santur), Petaluma Regional Library, 100 Fairgrounds Dr., Petaluma, CA 94952. Free. Info: 707-763-9801 or visit sonomalibrary.org. Facebook Event. Saturday, March 9, 3 PM, Global Guitar Summit with Matthew Montfort and Teja Gerken (fingerstyle guitar), Guerneville Regional Library, 14107 Armstrong Woods Rd., Guerneville, CA 95446. Free. Info: 707-869-9004 or visit sonomalibrary.org. Facebook Event. German-born Teja Gerken is a contemporary steel-string fingerstyle guitarist whose playing merges the styles of European guitar pioneers such as John Renbourn and Pierre Bensusan with the distinct sounds of American players such as Leo Kottke and Michael Hedges. 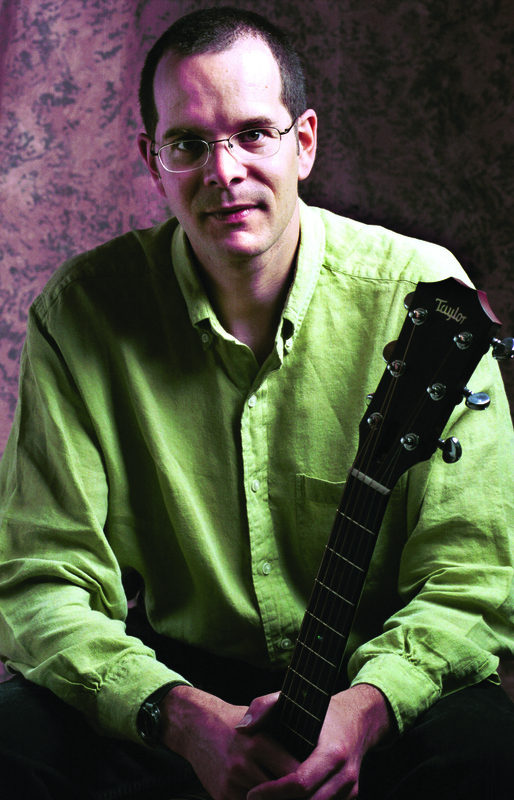 Known for his original compositions, many of which employ alternate tunings, two-handed tapping, percussive effects, and other extended guitar techniques, Teja will also bring Celtic, jazz, and classical styles to the Global Guitar Summit. 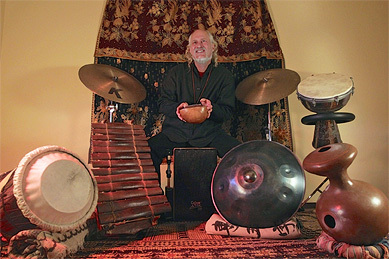 Saturday, March 30, 2 PM, Ancient Future World Without Walls Trio with Matthew Montfort, Doug McKeehan (keys), and Ian Dogole (percussion), Northwest Santa Rosa Library, 150 Coddingtown Center, Santa Rosa, CA 95401. Free. Info: 707-546-2265 or visit sonomalibrary.org. Facebook Event. 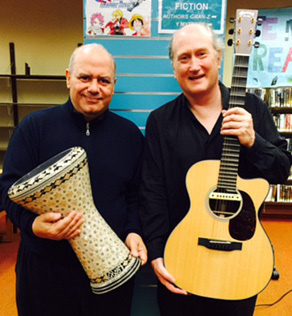 Saturday, April 20, 2 PM, Ancient Future Guitar and Arabic Percussion Duet with Matthew Montfort and Antoine Lammam (Arabic percussion), Central Santa Rosa Library, 211 E Street, Santa Rosa, CA 95404. Free. Info: 707-308-3020 or visit sonomalibrary.org. Facebook Event. Antoine Lammam was born in Beirut, Lebanon. His musical career started early, where at the age of 8 he was given his first drum, an Egyptian tabla. Antoine's passion and his huge talent was noted by his family, many of whom were themselves involved in the arts. At the age of 14, Antoine moved to United Arab Emirates with his family, running away from the war in Lebanon, where he joined a local band at 16. He was encouraged to master his craft and studied under Khaliji conga master Jumah Ibrahim and Syrian bongo and tambourine player Marwaan Sheriff. The move to United Arab Emirates and joining a number one band consisting of 20 members gave the young Antoine a rich insight into the cultural origins of Middle Eastern music mixed with the flavors of Indian and African rhythms. In the mid of 1970's, Antoine became the main drummer for famous Khaliji singer Abdullah bel-Kheir. But as Antoine began looking for new dimensions of percussive sounds, he found himself turning full circle into his first interest and his sensual passion for the Arabic tambourine. It wasn't till late 1970's, when Antoine met and studied with famous tambourine player Michael Baklouk. After that, Antoine became the main tambourine player at Dubai's major radio station, where he enjoyed playing for famous artists, doing different contest shows, and recording for various top singers of that time. 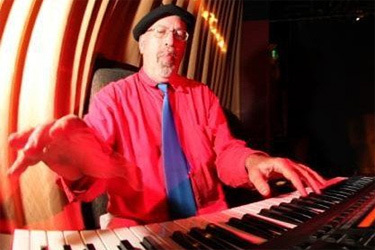 Antoine has accompanied many famous singers in the USA, played at major night clubs all over America, and taught Arabic rhythms and percussion theories at UC Berkeley (World Music from the Middle-East) from 1991-2009. Antoine is featured on many record releases, including Ancient Future's Planet Passion and his own poetry and music album, Echoes Of Silence, which features his brothers, the famous violinist Georges Lammam and master accordion player Elias Lammam.